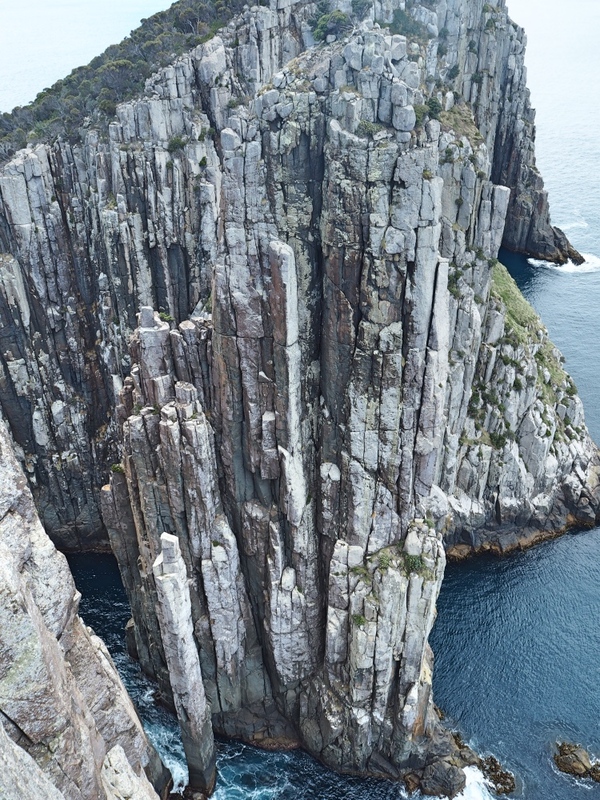 Cape Hauy is located on the Tasman Peninsula, just over an hours drive from Hobart. 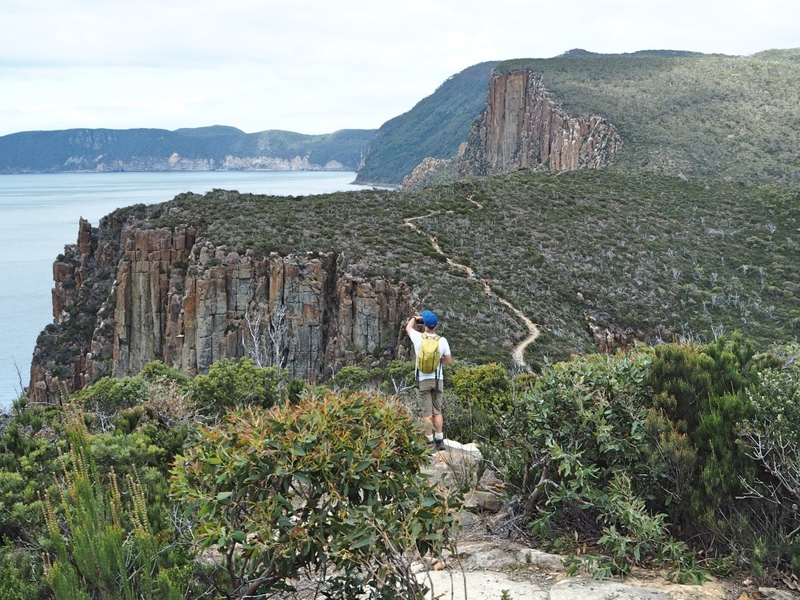 It is the last cape on the “Three Capes Track”, one of Tasmania’s newest walking tracks. 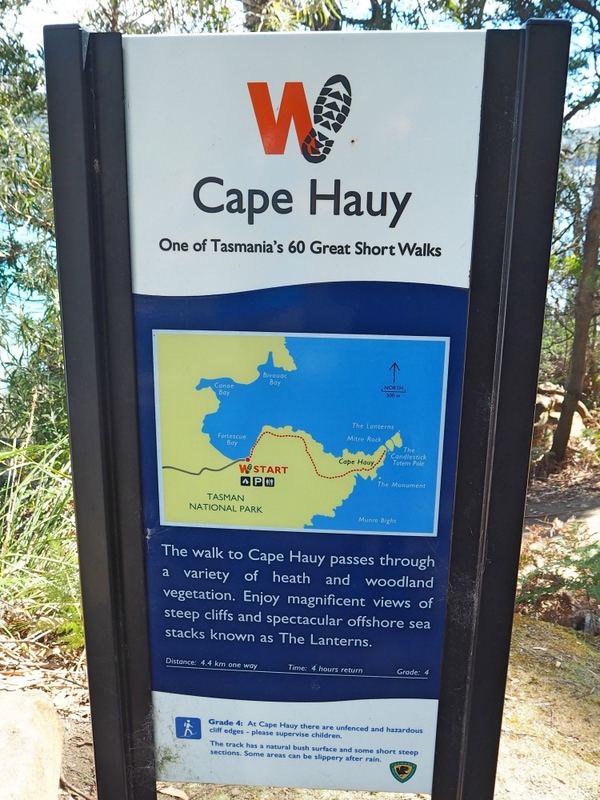 If you don’t have time to hike the whole of the Three Capes Track (which takes four days), hiking Cape Hauy is a great alternative. This sign marks the start of the hike. 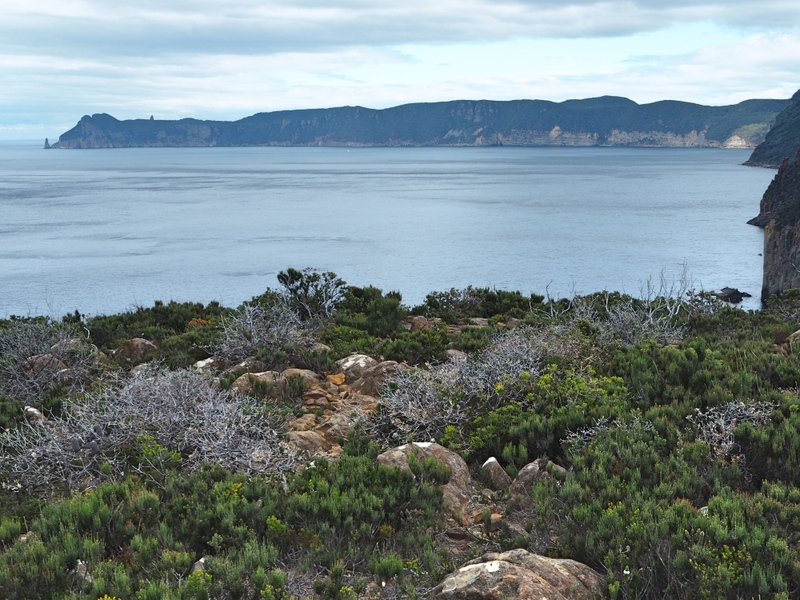 The hiking trail to Cape Hauy starts at the Fortescue Bay Caravan park in the Tasman National Park. To reach the caravan park, we followed the gravel road that branches off the Arthurs Highway for twelve kilometres. 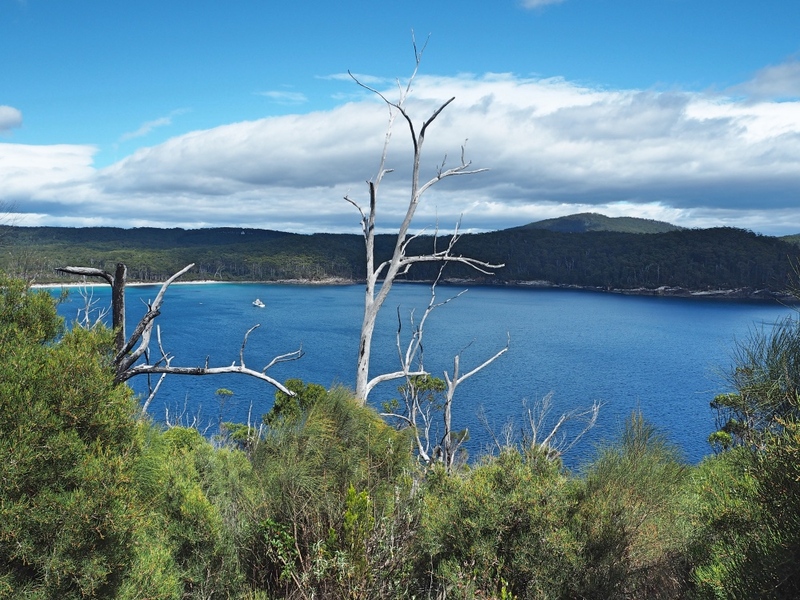 As we arrived in Fortescue Bay we were amazed by the beauty of the bay itself. It was so pretty with its brilliant blue waters and white sand. As it was summer, there were a few swimmers in the water and it really looked inviting. 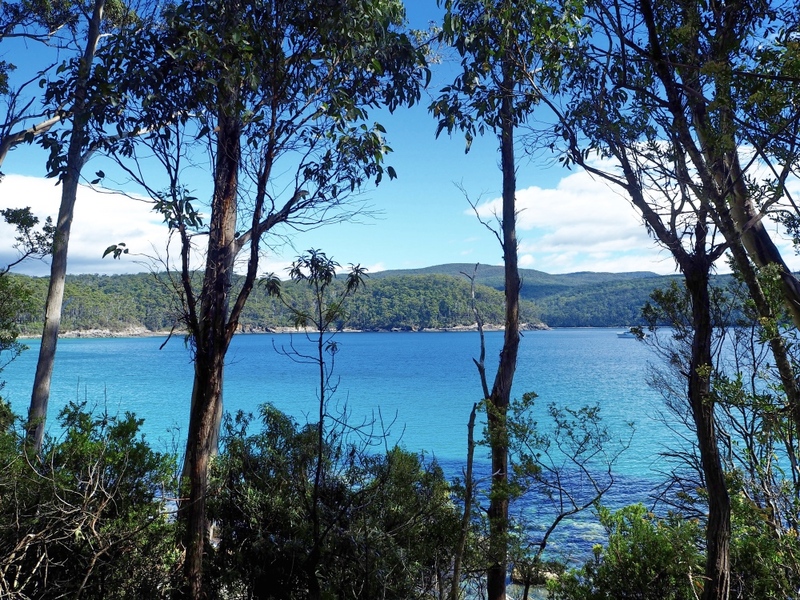 The stunning Fortescue Bay. So inviting! After a few minutes spent admiring the beach, we commenced the hike. The track starts opposite the boat ramp and is very well sign-posted and easy to follow. 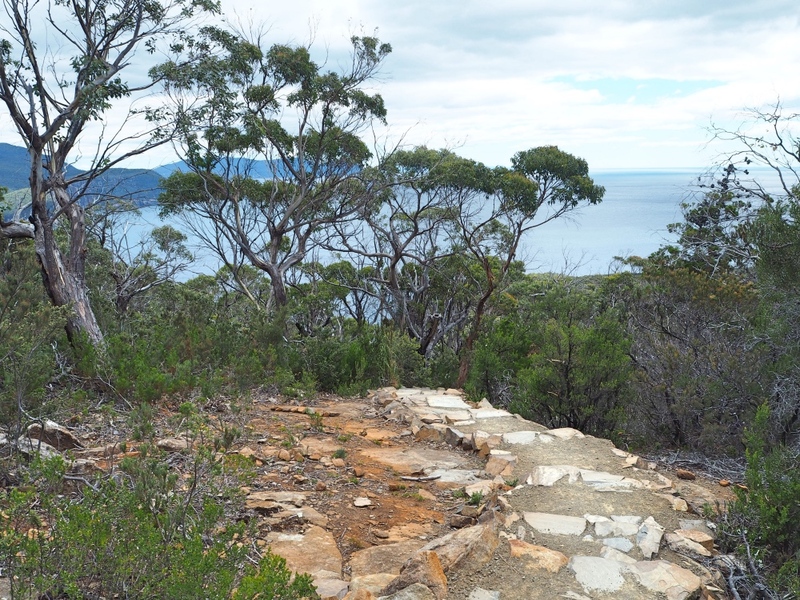 The beginning of the hike hugs the coastline and the views down across Fortescue Bay are incredible. We were lucky enough to have a sunny day which made everything look even more beautiful. After a few minutes, the track heads inland for a while. It’s at this point that you will be hit with many, many stairs! Great views right from the start! 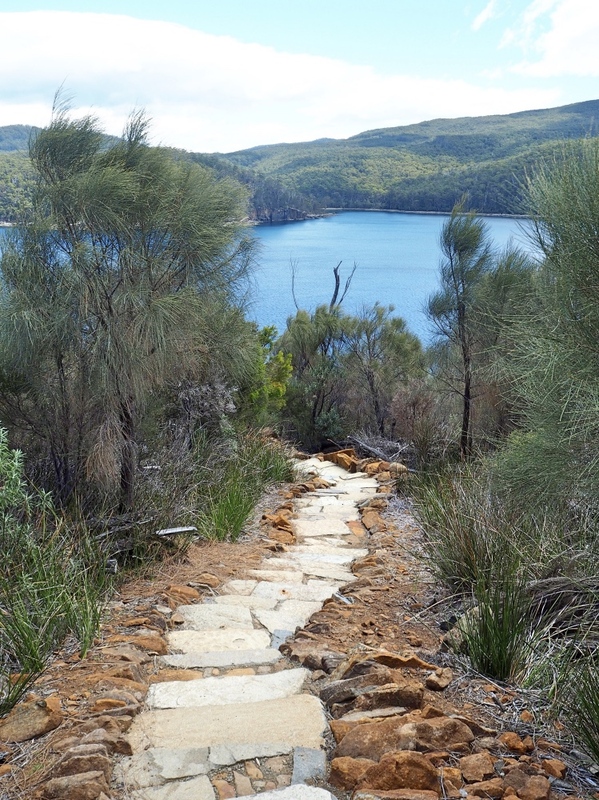 Looking down on Fortescue bay at the start of the hike. The walking track winding through the shrubbery. 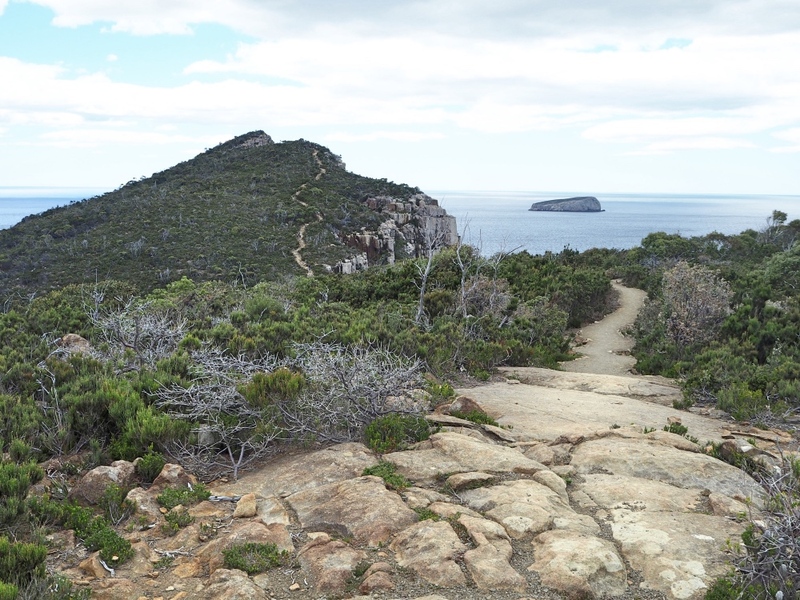 After about a kilometre of ascending you will reach a sign marking the descent to Cape Hauy. Don’t rejoice because there is still a fair way to go! 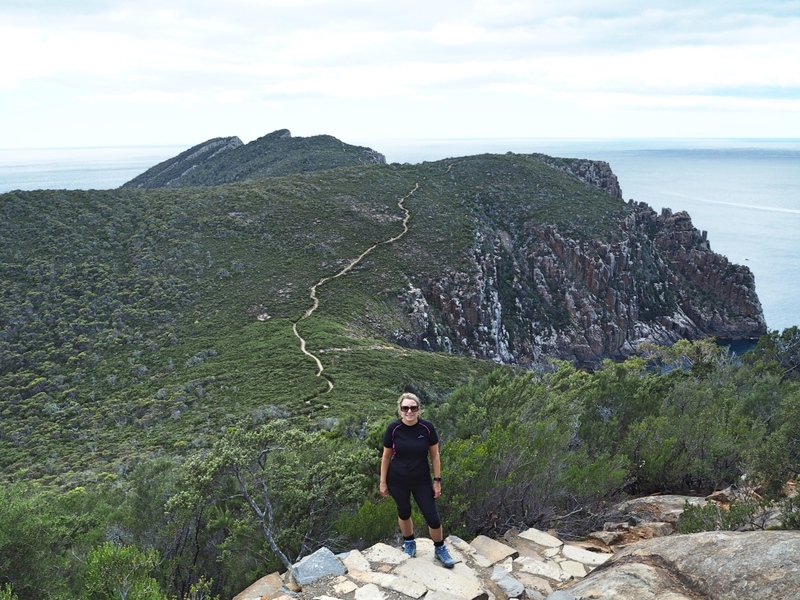 But as you come out of the forest you will be rewarded with splendid views of the cape and the remaining walking track heading up over a saddle. The half-way point on the way out to the cape. The view out towards the cape from the half-way point. 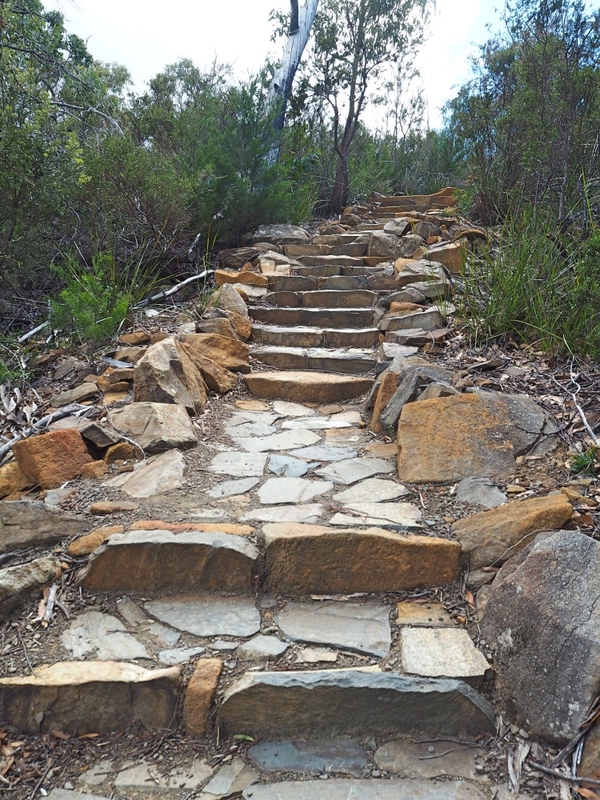 After going down the toughest lot of stairs, you will reach the first saddle of the cape. Be warned that these stairs are much more of a killer on the way back up! 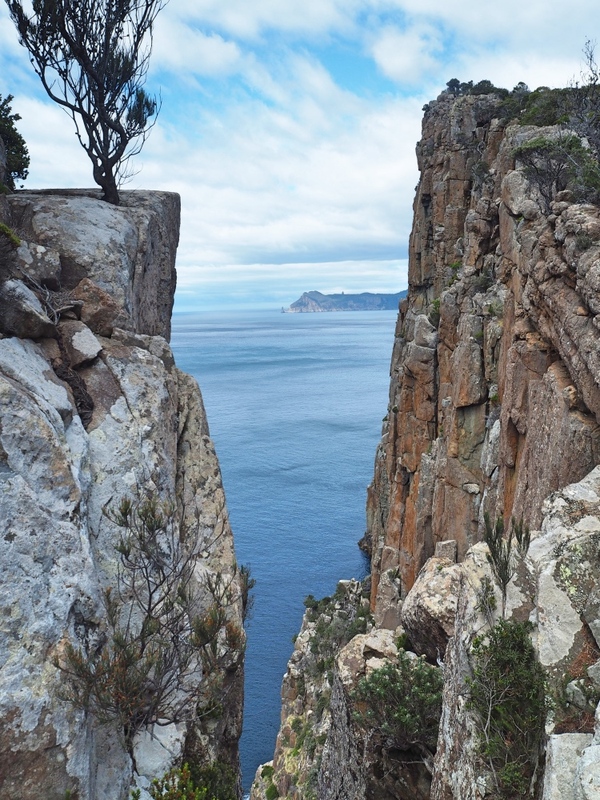 From this saddle, the views open up and you get dramatic and panoramic views of both Cape Hauy and Cape Pillar. 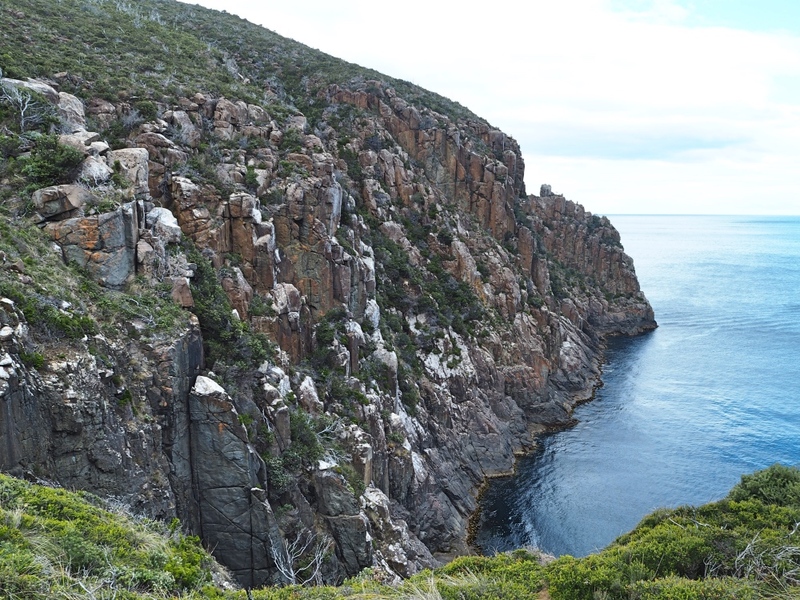 Looking towards Cape Pillar from the first saddle. These are some very impressive cliffs! Winding our way towards Cape Hauy. Just breathtaking! So many photo opportunities! 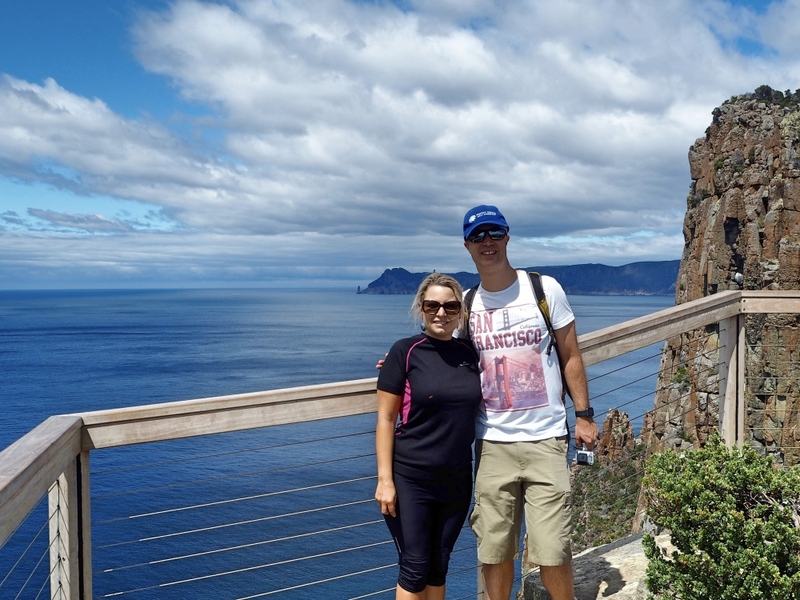 After going up and down the next two saddles, we finally made it to Cape Hauy itself. The closer we got to the Cape the closer to the edge the track became. But the views just kept getting better! A warning sign as we approached the cape. 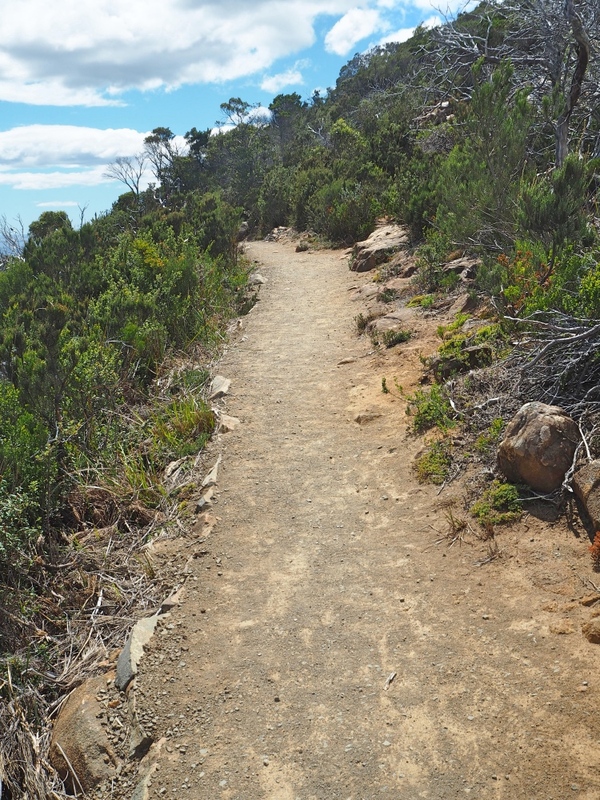 The path along the edge of the cliff. Looking over the edge of the cliff, scary! Incredible views as we reach the Cape! 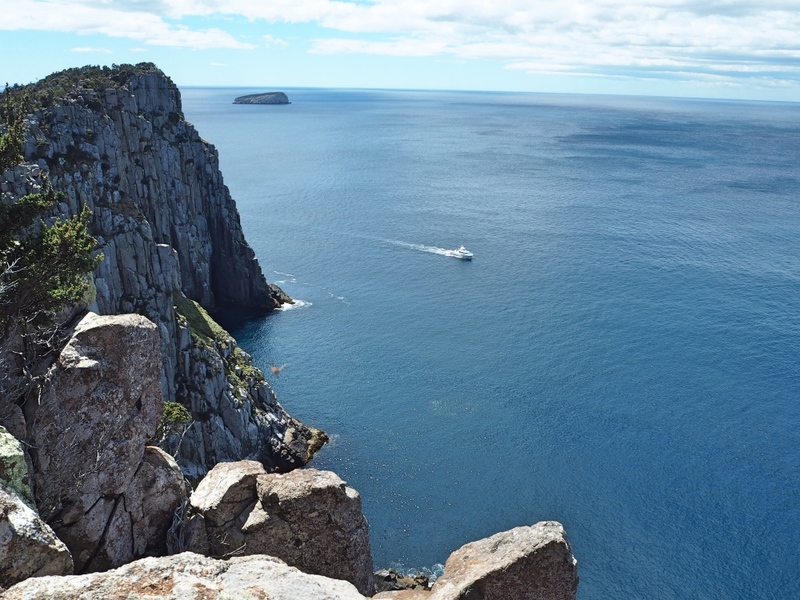 Reaching Cape Hauy, you end up on top of a rock platform, with a sheer drop of over a hundred meters into the sea. 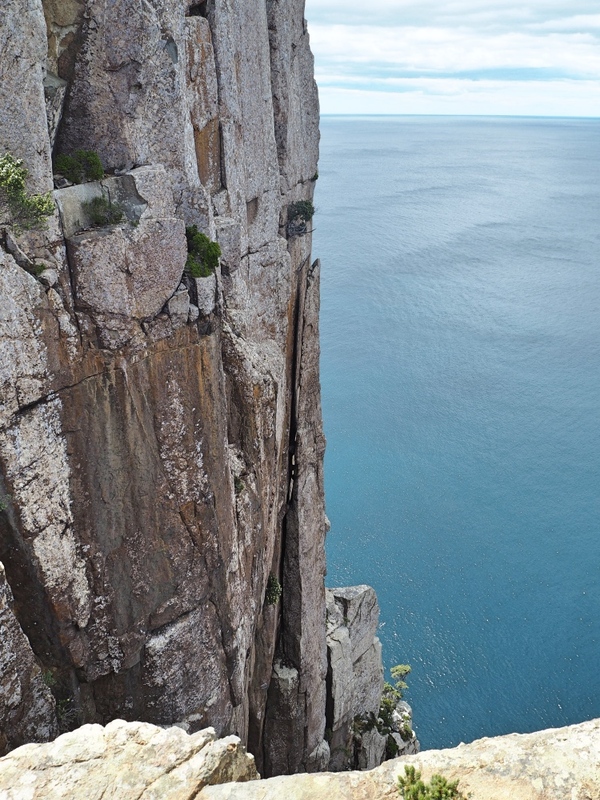 From the platform, you will see the famous Candlestick, a very tall and thin rock formation separated from the cliffs by the sea. Right behind the Candlestick are the Lanterns. The surrounding scenery is just spectacular. 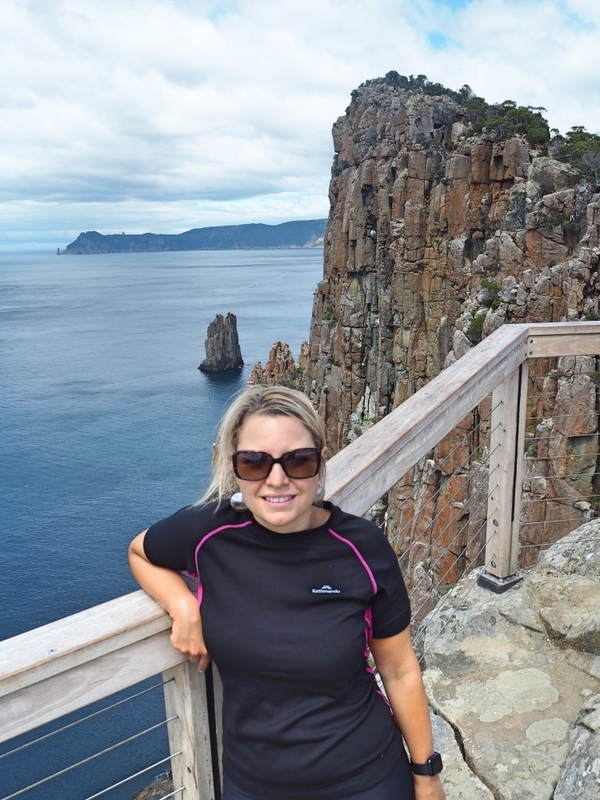 Cape Hauy was a great place to sit down and relax for a while and take in the views and a whole lot of fresh sea air. It is quite a popular hike so unfortunately, we were not there alone. After some time spent enjoying the views and after taking many photos, we headed back the same way that we arrived. As we reached the carpark we were both exhausted and pretty darn hot and sweaty! 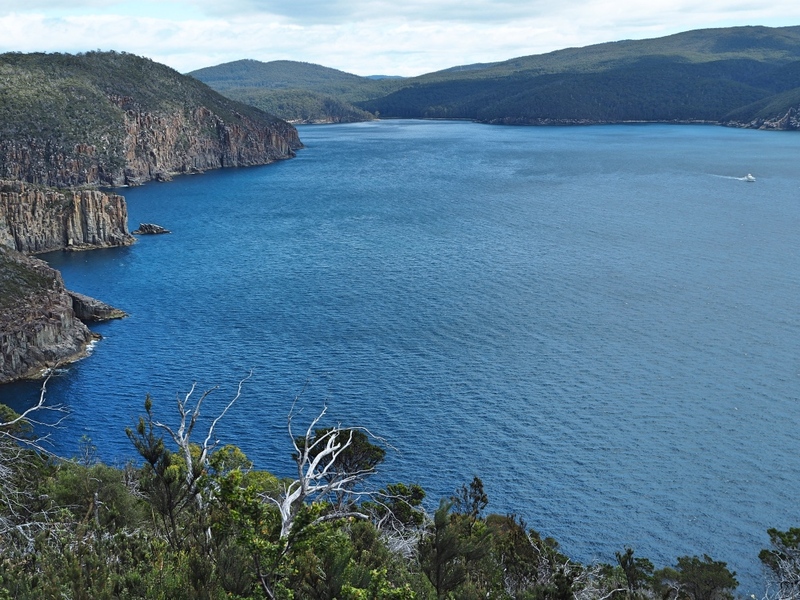 A swim in Fortescue Bay would have been very much welcomed. We were really disappointed that we hadn’t brought along our bathers! The candlestick and the lanterns. Looking out from the cape. A great reward after a long hike! The hike takes between three to four hours depending on your level of fitness and how long you spend enjoying the views. 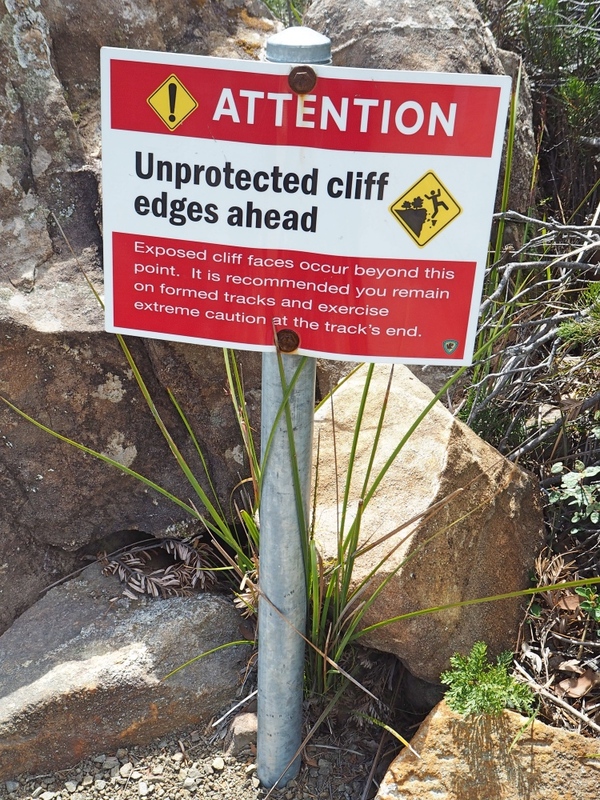 Unlike some hikes in Tasmania such as the Cradle Mountain summit or Mt Amos in the Freycinet National Park, there are no big boulders or rocks to clamber over which makes it a much easier and safer walk. Of course, the stairs make it tough at times, but the further out you get the nicer the views become, so you quickly forget about the pain! It was much easier going down than up! If you are hungry after your hike then stop off at the Port Arthur Lavender Farm. It’s a great place for a nice lunch with local produce, beautiful views and a lovely glass of Tasmanian wine! It was definitely worth the effort and we loved every minute of this walk. It certainly offers enough magnificent scenery to make it all worthwhile. Hi Jenni, thanks for the comment. That beach was the perfect place to sit down, relax and soak in the views. 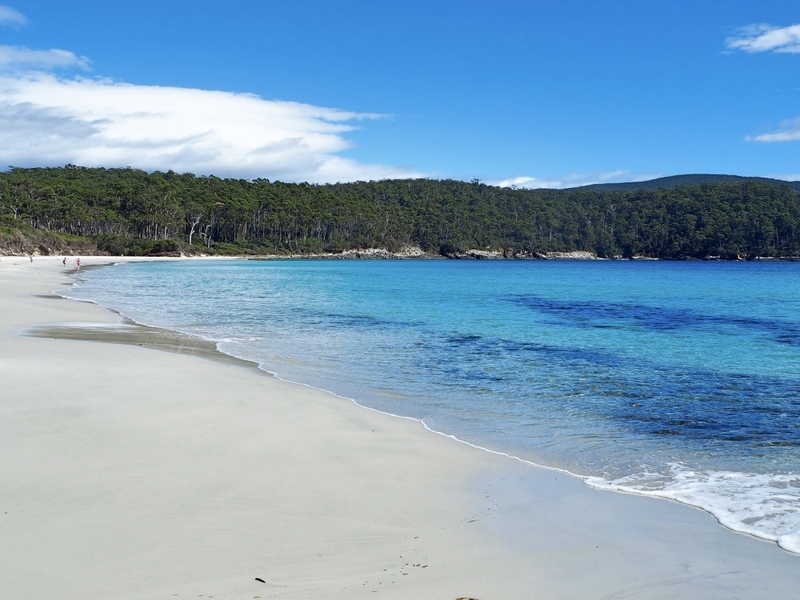 Tasmania has so much to offer for everybody. It’s our favourite state! Hi Vlad, yes it was tough but you are right totally worth it! Would love to do it again! Would love to see Tasmania one day. The views are stunning! It’s definitely worth the 4 hour hike! Hi! That looks beautiful! I will be there in a couple weeks. Just curious – is the hike 3-4 hours total, there and back? Or is it 3-4 hours to the Cape, 3-4 hours back? Hi Madison, the hike is 3-4 hours total. You will love it, it’s an amazing hike. So, It is 4 hours to reach the cay and then 4 hours back?. 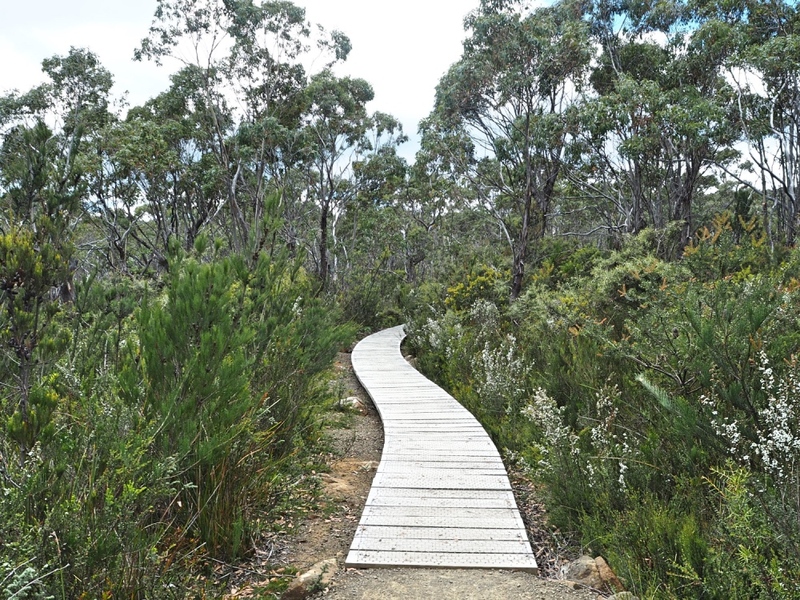 Do you know if there is public transport that takes you to the beginning of the route from Hobart? I would like to do it, I have to choose one of the three capes, but i don’t know which one woulb be easier to do it in the day. Hi Flor, thanks for stopping by. It’s about 4 hours in total to reach the cape and back. I don’t think there is public transport to the trailhead. It is off the highway at the end of an unsealed road. We drove there ourself. I can’t comment on the other three capes as we only did this one but it was a great hike. We wanted to do Cape Raoul but ran out of time.